PRICE REDUCTION! Priced Under builder! Motivated Seller. 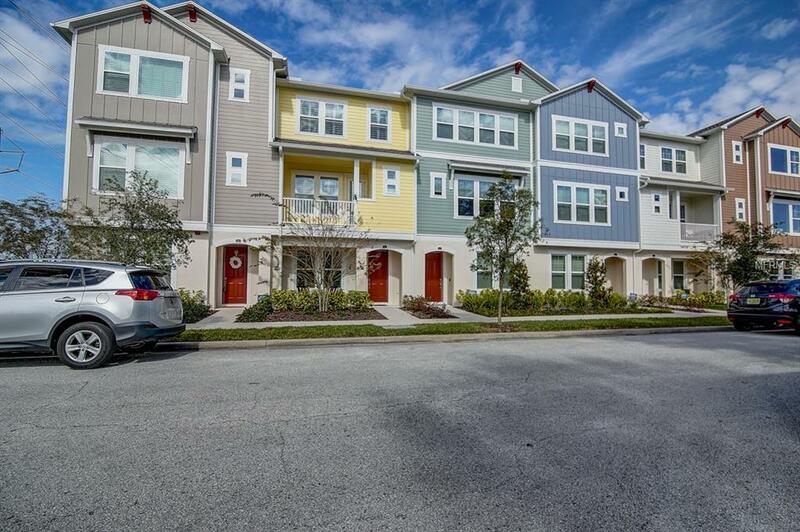 Absolutely stunning & better than new David Weekley townhome in the Westchase Town Center! 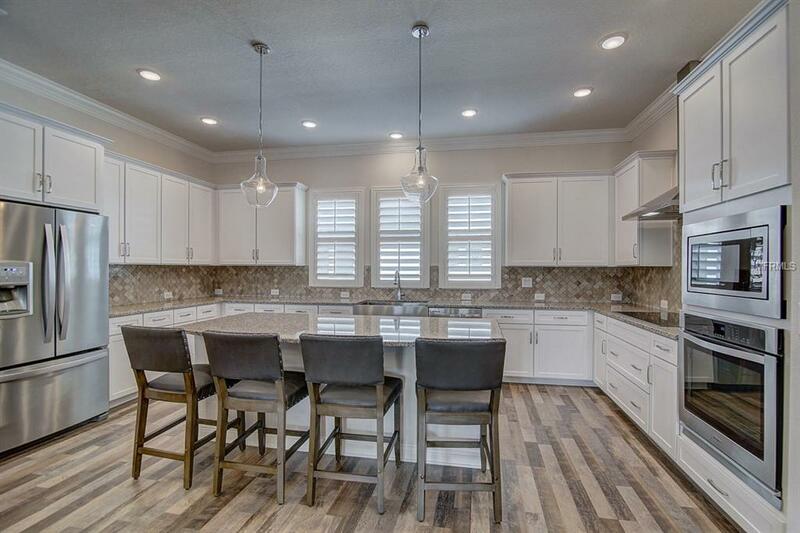 This beautiful low maintenance 3 story townhome boasts numerous designer upgrades: plantation shutters, crown molding, professional closet systems, LED recessed lighting in all bedrooms & great room, safe racks for garage storage, & wood like laminate throughout entire home! No carpet here! Its kitchen is a dream! 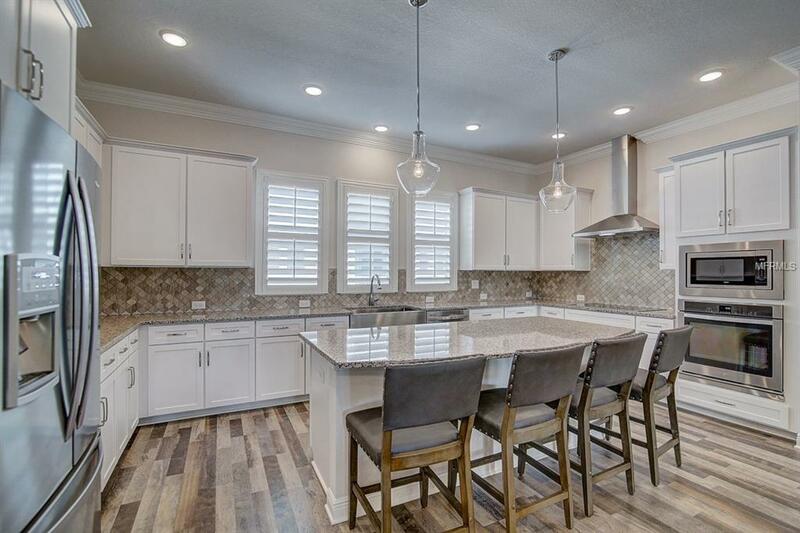 White soft close cabinets, gorgeous top of the line marble Baroque backsplash, upgraded stainless steel appliances, enormous island with Quartz, dramatic designer vent hood, and all open to the dining and living room. The lower level room opens with barn doors into a versatile 3rd bedroom or office with its unique professional closet system and full bath. 2 more bedrooms on the 3rd floor have an en suite bathroom offering complete privacy. The Master retreat has a tray ceiling in the bedroom, spacious super shower with tile to ceiling, dual vanity with granite & white wood cabinets. The 2nd floor balcony off the great room offers more entertaining space Fantastic location with guest parking in front of unit, and its within walking distance to West Park town center, with its First Friday events, great restaurants, entertainment, salons, banks, and such. 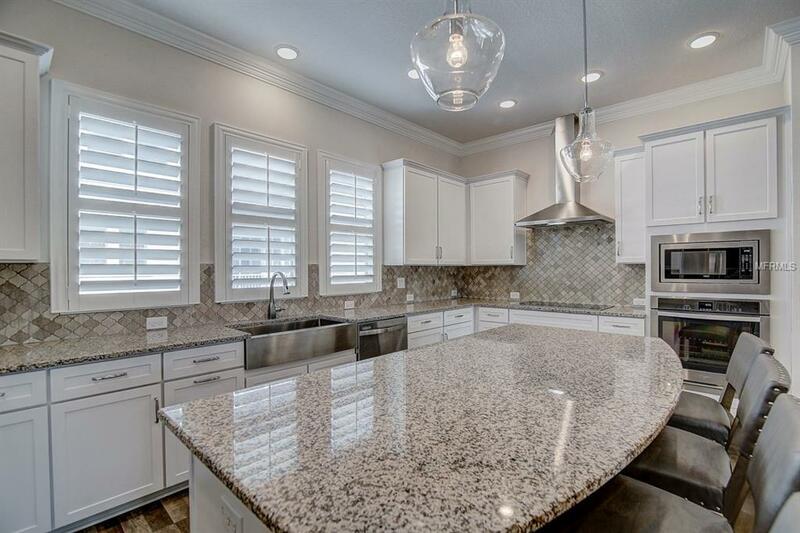 Walk to the many parks and recreation that make Westchase so desirable as well. Easy access to Tampa international Airport, St. Petersburg and Florida's most beautiful beaches.